Has anyone made the aluminium border frame for the tool tray lid? 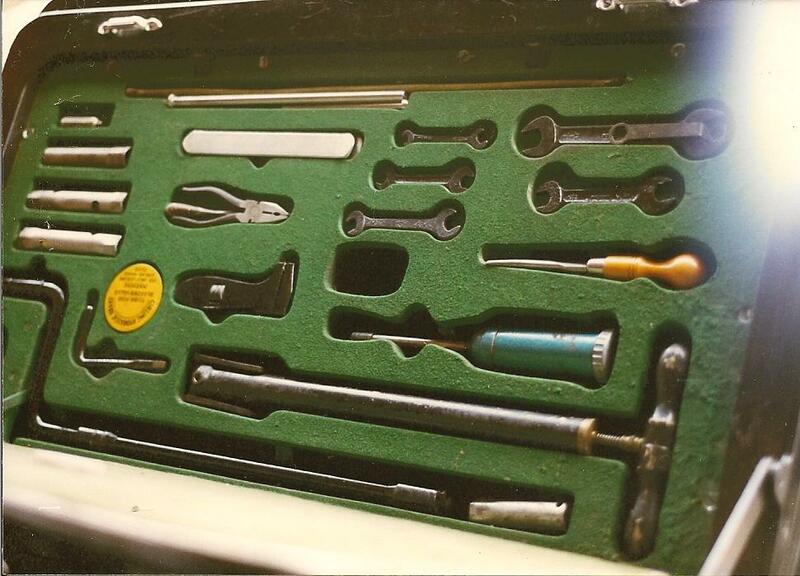 Everything else in the tool tray area can be resurrected by the home restorer but these items are difficult to bring to an equal standard. 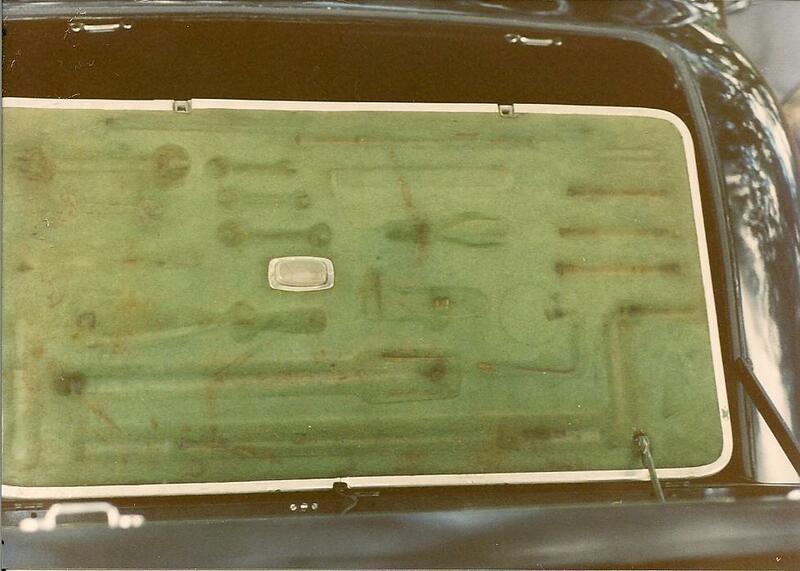 Also, was there a particular shade of green used for the lining and tray. I have seen the snooker table green and a darker green, which I think looks better. I’ve attempted with little success. If anyone if repopping them but my done for one. Original tool tray lid in my Mark V 627933. 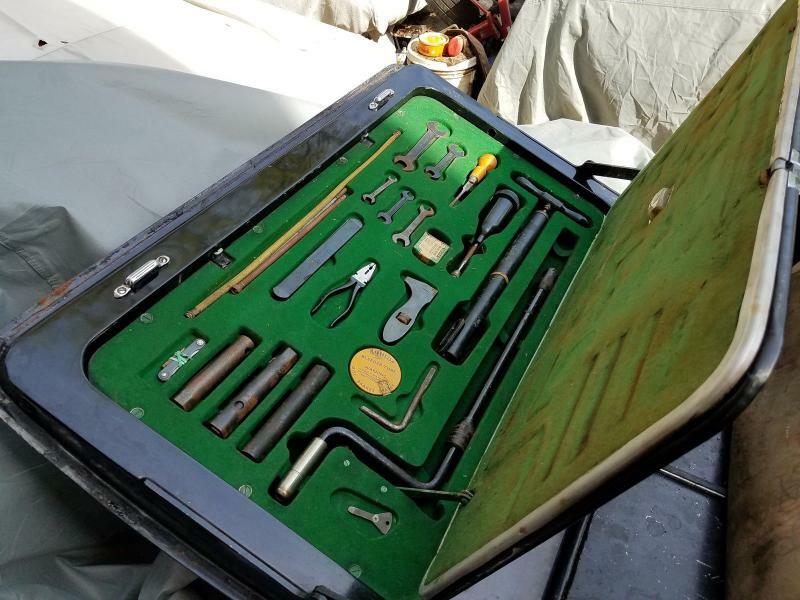 Original tool tray in my Mark V.
Please ignore the grease gun. Another unrestored car 628434, photo from saloondata. I have an excellent mK V tool tray lid lying around. Excellent aluminium surround. The whole thing is in good condition except for 2 broken hinges, and I’ve promised the catches to some one else. The trick with the large aluminium surround is how to send it without it getting bent, You could have the whole tray with the surround still attached. I estimate last week in August 1950 built (dom), certainly has a much better tool-kit than most Mark Vs, and certainly from what you can see the tool-tray and lid look excellent and original. 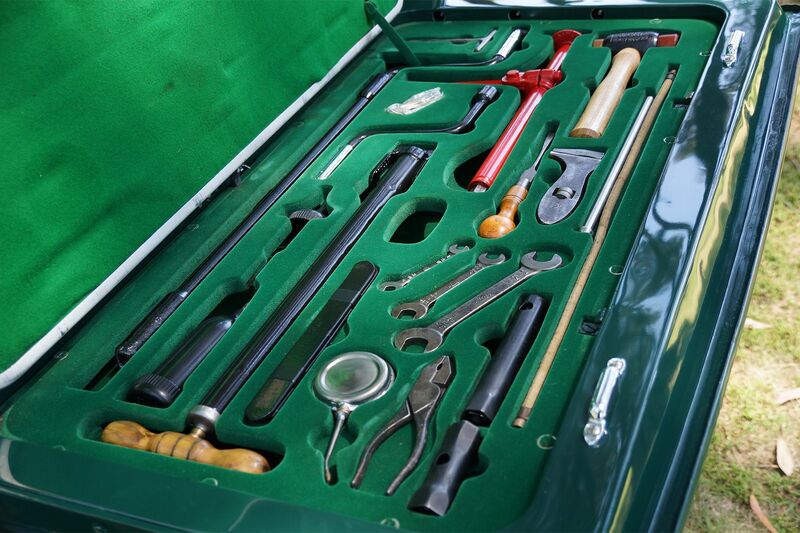 Apart from the missing Box Spanner, the tool kit itself also looks mostly excellent, albeit I would like to see a better resolution photo for certain detail. It really is best as a pick up to avoid damage or expensive packaging and freight. I am interested in this Ed. How can I best contact you to discuss?